Most of us just want to go through life without causing ourselves any extra work, worry or grief. So why on earth would smart people volunteer to work in Emergency Services in their own home town? Recent findings suggest rural ambulance paramedics are at particular risk for increased levels of fatigue, stress, anxiety and depression. Despite a large chunk of my career doing nothing but high risk neonatal, pediatric and maternity calls, a call from my ‘rural and remote’ career has stuck with me as the worst call I ever did. And as bad as calls go, nothing can prepare you for telling your friend’s mother that her son is never coming home again. Especially after you had been sent to save him. Previous to my posting as a Unit Chief for Burns Lake British Columbia, I worked in Vancouver as an Emergency Medical Assistant ll or EMA ll, and this really did little to prepare me for what I was about to experience. Back in the city we just called in extra cars when we faced multiple patients. We called in higher trained crews when the situation warranted it, and a hospital was always 10 minutes away. I soon learned that working in the country was an entirely different kettle of fish. We did the best we could with what we had. The crews and I spent many hours attending weekly training sessions on our own time. We took every course that was offered, we practiced and we read. But we could never overcome the sense of hopelessness that envelops you when people die. During the three years that I worked in the rural/remote environment we lost friends and neighbours and people too young to die. Some of the more horrific calls led to depletion of our numbers as those attending never came back. It was at times frustrating because there didn’t seem to be any workable solutions. I saw marriages strained or broken because of the requirement to always carry the pager. Although we were always recruiting, we never seemed to have enough staff. Maintaining emotional health was and still is a big problem in this setting. Being on call leads to a disruption of a healthy work and life balance. It is almost impossible to exercise, go away for the weekend or attend family events. When crews are exposed to critical incidents and require professional counselling, geography complicates matters as most therapists live in major centres. All of these factors cause significant hardship for those involved, but that’s not even the worst part. Here’s the dirty little secret that no one wants to talk about. Being in a small town means that everyone knows everyone. Even worse, everyone knows everyone’s business as well. So imagine how you would feel if you made a mistake while looking after your neighbours child. It happens, everyone makes mistakes. But the scrutiny in a small town can be overwhelming. The deck is stacked against you. Response times are longer as in many towns, there just isn’t sufficient call volume to pay people to be at the station. Skills decline when they aren’t used and a low call volume makes it nearly impossible to stay sharp. And you need to stay sharp because you are looking after your family and friends. There are great expectations that are not reasonably met within the existing structure. It’s a virtual certainty that things will not go well. A great deal of research has been done on other health care professionals in rural and remote environments, and workable solutions have been discovered. Unfortunately, there are few studies that have looked at the unique set of stressors that affect paramedics in isolated practice and change has been slower. A few studies show that rural paramedics have significantly higher levels of fatigue, depression, anxiety, and stress, and significantly poorer sleep quality than reference samples. Paramedics also reported less physical activity than community samples. … Consistent with an earlier study of metropolitan paramedics based on the same methodology, findings suggest rural ambulance paramedic shift workers are at particular risk for increased levels of fatigue and depression (regardless of age or gender) and poor quality sleep. Organisational intervention was suggested. To further understand how these stresses are generated, it might be helpful to see how others analyze our behavior. In 2004, Jonsson and Segesten investigated the prevalence of post-traumatic stress symptoms among professional ambulance personnel in Sweden. They discovered that ambulance paramedics experience stress at different stages of each event that they attend. The risk of making mistakes is expressed by ambulance personnel in terms of fear of misjudging or of failing in their desire to help the patient. The feelings of not doing enough for the patient and their family’s makes the worker feel helpless and useless. This feeling can arise even if they have done everything they can. Participants described how they attempted to raise an emotional shield between themselves and the patient. They stated that they approached the scene by concentrating and focusing on the victim alone, in an attempt to distance themselves from impressions which may distract them from performing their duty. They stated that they can be concentrating so hard on the tasks at hand that afterwards it is not uncommon for ambulance personnel to be unsure how many patients and or vehicles were involved. According to Jonsson and Segesten ambulance paramedics go through many emotions after they have left the patient in the emergency room or at the scene of an accident. They have begun to identify with the patient and relate to them. They begin to worry about whether they will be able to help the patient. Numerous participants in the study stated during this time, paramedics can attempt to distance themselves from many variables, but feel more and more enmeshed in the situation. A feeling of anxiety can begin at this stage and workers can get overwhelmed with emotion. At this time ambulance personnel can feel confused, upset, exhausted, sad and distressed, and that the world is chaotic… All participants in their study showed a variety of post-traumatic stress disorder symptoms including; re-experiencing trauma, numbing of compassion and distortion in social or professional performance, and symptoms of increased arousal. However, when they were asked by fellow workers if they felt comfortable, they always tried to hide their feelings. It is clear then that if paramedics are going through all of these things, it is bound to have an impact on their work and personal/family lives. This theme involved feelings of guilt, shame and self-loathing reported by participants. They expressed that the traumatic event was accompanied by guilt-related memories of the event, which triggered a negative response. The cohort of participants in the study said that they felt guilty when they thought they had failed in their attempt to save the life of a victim, especially if they had given a promise to the patient or relatives that the outcome would be positive. The feelings of guilt appear even if they know they did everything possible to help and support the patient. Questions such as ‘could I have done anything different?’ And ‘had it been possible to do more?’ are always there. Participants in Jonsson and Segesten’s study further stated that they never talked to anyone about their feelings of shame and failure since. Instead they did everything to hide these feelings. The participants expressed feelings of shame in association with negative self-perceptions and see themselves as inferior to others as a result. It takes a great effort to conceal feelings of shame, when you have failed to be someone you wanted to be. It seems pretty obvious to me that the rural and remote paramedic is exposed to these themes more often than those in major metropolitan areas. While we all feel the pressure of high acuity low volume calls, those without proper resources will be most affected. Another useful study has led to increased understanding of the issues and hopefully has provided a road map to address the issues. The Australian study has led to some important changes as some of the recommendations listed below have already been adopted. Useful strategies to be considered include an expanded scope of practice for rural … paramedics with senior clinical and medical staff playing a mentoring role. … Expanded scope of practice may also pave the way for shared training and professional development programs across all rural healthcare staff. This would be more cost efficient, enhance skills, increase interaction across all health professionals and build teamwork that is so vital in rural health care practice. Expanded scope of practice has already been adopted in the United Kingdom, Canada and some Australian states and has proven as an effective workforce retention strategy. Many rural healthcare staff share common stressors that are linked to a lack of social and organizational support, and the need for a better work-life balance. Organizational strategies that could assist staff in these areas include flexible work hours, better communication, and career mentoring. Psychological support for staff could be enhanced by using a combination of phone, internet (Skype) and face-to-face debriefing and counseling services. Stress management programs should be proactive rather than reactive and target the rural sector, educating staff about common stressors and how to overcome these and attain a better work-life balance in more remote work locations. Clearly important work has started and support for rural and remote paramedics is increasing. While increased training is required, it will be important to ensure that the training is effective. This training needs to be specific and adequately prepare our staff for high acuity low volume calls that can inflict so much psychological harm. Sitting in a classroom clearly won’t do. Our rural and remote colleges need to be exposed to high fidelity simulations involving critical interventions and complex team based decision making. There is an emerging concept of ‘community preparedness’ that may be harnessed as well. Rural and remote paramedics should be supported in their efforts to train the lay public in CPR, basic first aid and critical interventions. This further enhances a team based approach and is the only real strategy to deal with long response times. During the Jonsson and Segesten interviews, participants were asked to describe their job in 3 words. Some of most common adjectives received back were ‘Fantastic, challenging, rewarding, unpredictable, enjoyable, stressful, frustrating’. Most of the descriptors were relatively positive, despite the fact that they all discussed how stressful the job could be at times. Ambulance paramedics are amazing individuals. The work they do is courageous, mind blowing and challenging. They should be supported, well-resourced and acknowledged for the work they do for our communities. There will be many important ideas generated by the people who serve in small towns and they need to be heard. Their ideas need to be discussed with an open mind, and where appropriate, addressed and adopted. Clearly these are special people who put themselves in harm’s way and take on and accept significant compromises to their own mental health in the service of others. 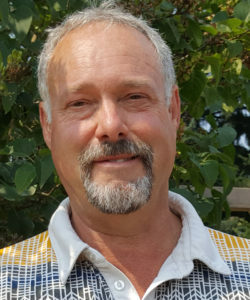 Mike Billingham has enjoyed a challenging 36-year career as a primary care paramedic, critical care neonatal, pediatric and obstetric paramedic, station administrator and educator. Currently, he owns and operates Creative Paramedical Education Ltd where he is fortunate enough to design customized courses for pre-hospital care. Stress in Australian rural ambulance paramedics: It’s more about the ‘rural’ than the ‘paramedic’.